Get your chills and thrills at these scary spots in Philly and the surrounding suburbs – plus, a few Jersey haunts! Once the calendar turns to October, we begin to embrace the creepy, eerie, supernatural and spooky, as we count down to Oct. 31. Get your chills and thrills this Halloween season at one of the many haunted attractions in the area. These places will make all your nightmares come true. Below is our list of scary spots to check out before Oct. 31. You'll encounter zombies, ghosts, aliens, monsters and more frightening creatures. Pennhurst Asylum is officially open for the Halloween season and more terrifying than ever before. New for 2017 at Pennhurst Asylum, located in Chester County, is the frightening attraction "Containment," which is comprised of a 1,200-foot tunnel stretching underneath the expansive complex. Those who dare will navigate a hidden government facility and witness experiments gone wrong. “We are so excited to be unveiling our scariest attraction yet," said Matt Herzog, owner. Aside from the new attraction, there's also "Asylum," "Dungeon of Lost Souls" and "Mayflower: After Dark" to explore. The Mayflower building is reportedly the most ghostly active location on the grounds. There are also overnight ghost-hunting tours for the truly brave. 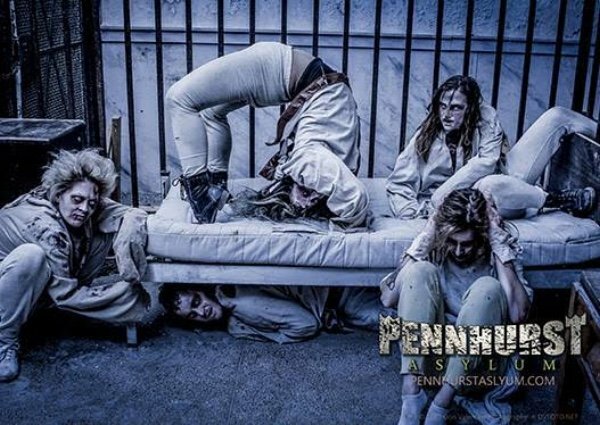 Terror Behind the Walls at Eastern State Penitentiary in Fairmount includes six attractions. Within the 196-year-old prison's walls, check out "Lock Down," "Infirmary," "Break Out!," "Machine Shop," "Quarantine 4-D" and the new "Blood Yard." "The carnage sends a clear message: You could be next. Hunt or be hunted," states Terror Behind the Walls. Just outside of Philadelphia is one of the scariest haunted attractions. The Haunted Hayride has been scaring visitors for 27 years. There are detailed sets, giant monsters, more than 75 actors and pyrotechnics. For 2017, new scenes have been added that "are guaranteed to strike fear in the bravest of souls," according to the website. Then, in the Bates Motel, high-tech special effects spook and scare all who enter. Try not to be freaked out when you realize that yes, the photo's eyes are following you. Head to Bucks County to get your heart racing. There are four attractions at The Valley of Fear. Jump on a haunted hayride to seek out monsters hiding in the area. Enter "The Facility" and try to escape from zombies in a creepy maze. Try out the new "Operation Z Escape Room," which combines the fun of an escape room with live-action paintball. Back for 2017 is also "Scarytales," where twisted fairy tale characters are out for vengeance. Fright Factory in South Philly has three attractions this year: "Industrial Nightmare," "Silent Screams Asylum" and "Fright Factory Unearthed." Free parking is located on Jackson and Swanson streets, as well as under I-95. Field of Screams is unlike anything that you have experienced before. 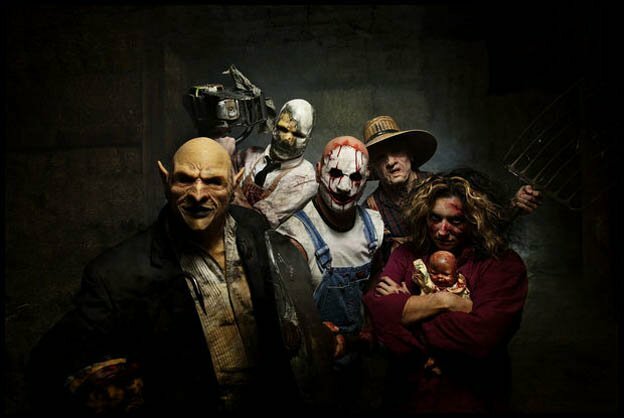 Those looking for a truly terrifying night might want to take a drive to Lancaster County's Field of Screams. Another reason to head out to Lancaster County is Jason's Woods, which features five scary attractions. If you're freaked out by "It" or the 2016 clown sightings, maybe skip "Carnival of Fear" – or embrace your fears and greet the evil clowns head on. Another one of the attractions sure to scare you is "The Chamber of Horrors," which is described as "the culmination of over 31 years of proven haunted attraction design" by Jason's Woods. "Horrifying Hayride," "Lost in Jason's Woods" and "Zombie Apocalypse" aren't for the faint of heart, either. Dare to step inside this haunted house in Bucks County? Seventeen rooms in the old Malfate Manor, also known as The House in the Hollow, are open to those curious about what hides inside. Before arriving at the house, take a haunted hayride and prepare for a night of fright. Located in Pottstown, this authentic Masonic temple is overrun with ghosts. Visitors will need to navigate through three floors of twists and turns to outrun the spooky spirits. Up for the challenge? This is a farm that "grows fear." There are four attractions at Horrorfest. All are terrifying. Take a haunted hayride, step inside a haunted barn, encounter aliens and check out the carnage in a nearby field. Pennywise is pretty creepy, but these clowns and sideshow attractions are just as terrifying to meet in the dark. The Dark Carnival in New Jersey will "help you relive the childhood nightmares you thought you had left behind." Sounds great, right? Explore the abandoned "Ghost Town of Gravity Hill." The 5 acres are filled with stuff to scare you. New for 2017 is "Scared In Jersey: The Legend of the Jersey Devil." Explore the Devil's mythology by exploring a haunted cottage and a Pine Barrens maze.